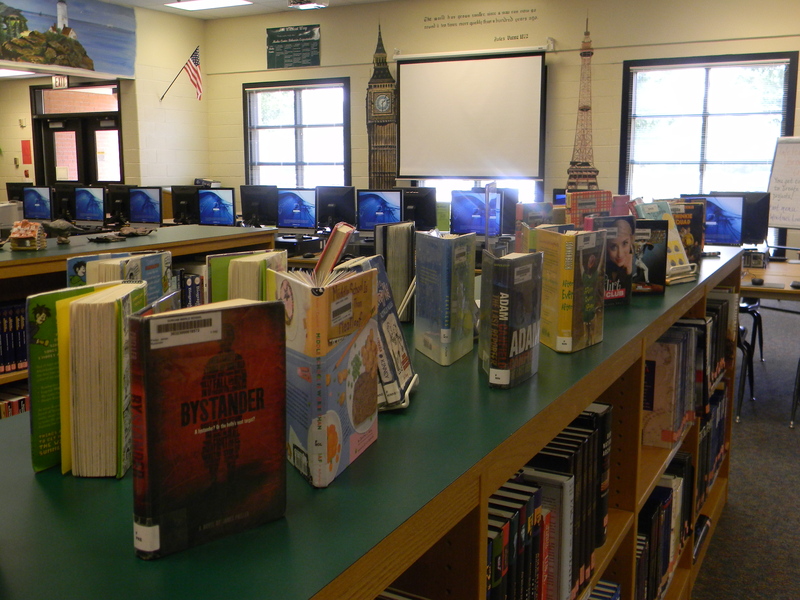 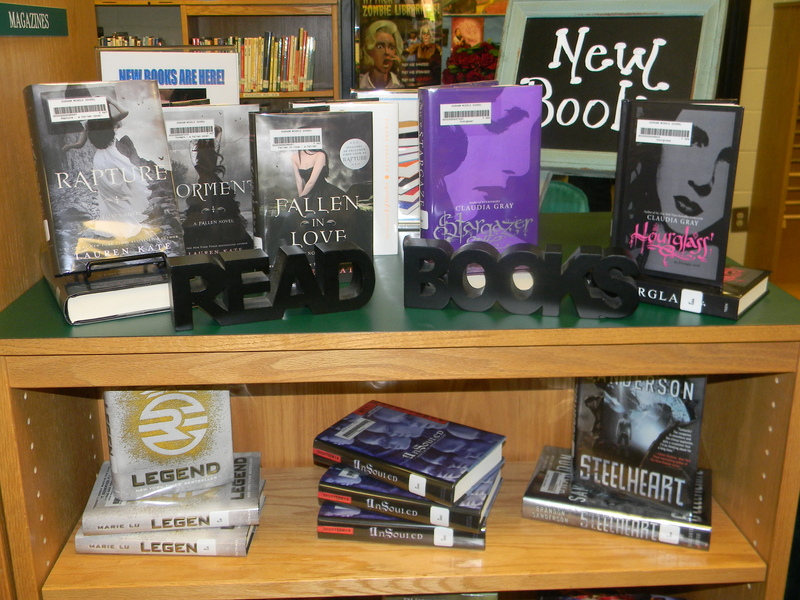 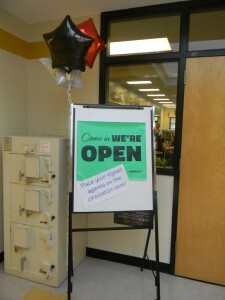 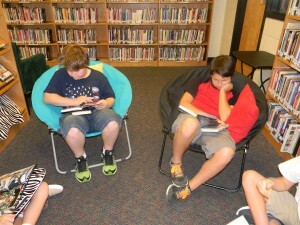 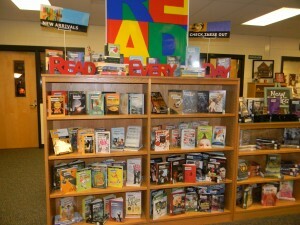 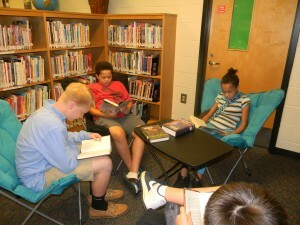 On Monday, August 11th the media center opened for classroom use and check out. 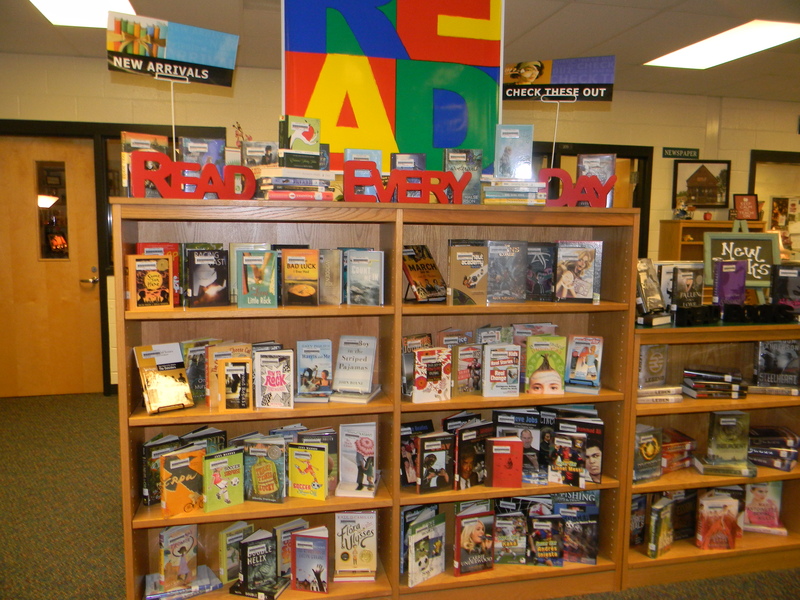 Durham students and faculty were greeted with a display of more than 200 brand new print books including several of summer’s hottest new releases, dozens of new ebooks, 30 new audiobooks and shiny new magazines selected specifically with Durham students and teachers in mind. 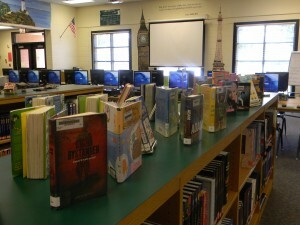 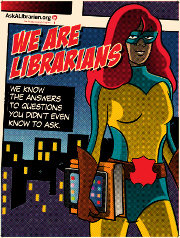 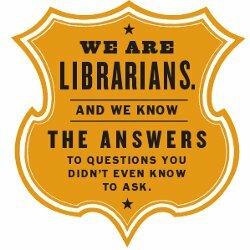 This year’s updated Cobb Digital Library offers new online databases and an updated, more user friendly layout, 34 networked computers are operational with all the “summer bugs” exterminated, and laptop carts are updated, charged and ready for check out. 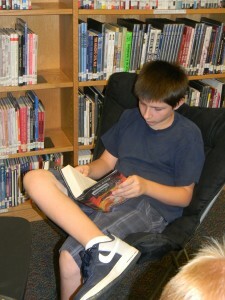 The media center also offers new student-friendly lounging spaces where students can cozy up with a good book, gather in small groups to collaborate on assignments or simply take a breather from the hectic life of being a middle schooler. 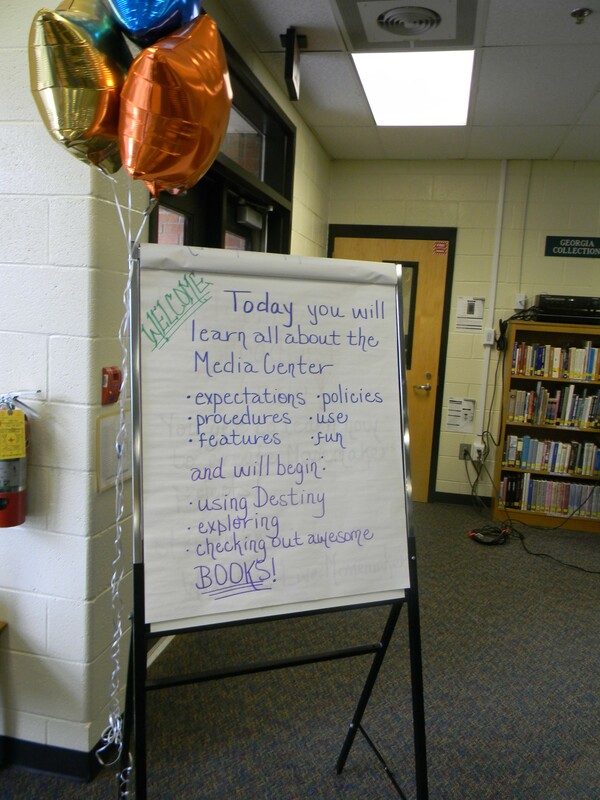 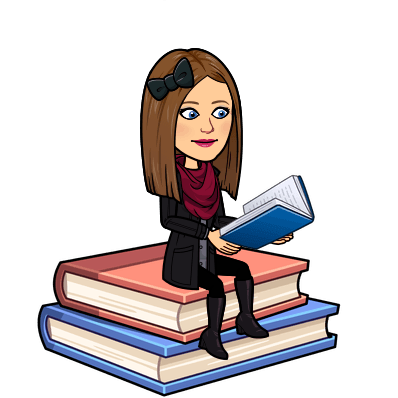 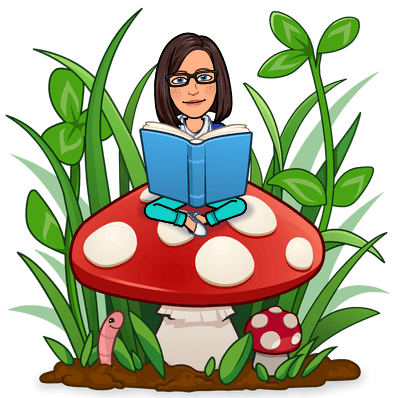 The DMC is also gearing up for some super fun, exciting new book giveaways and promotionals throughout the school year and continues to evolve along with its patrons’ usage needs.